One of my most anticipated films of the year, Maleficent tells the untold story (and by that Disney means the story they just made up.) of the mistress of all evil. Whether or not you’re a fan of 1959’s Sleeping Beauty, you can’t deny that Maleficent was pretty darn scary. And now she’s getting her own movie in the style of ‘Wicked’. This ought to be brilliant. Well, not quite. Rarely do I ever say this, but I think this movie should have been longer. It has an interesting setup and there are moments when it really seems like something strong. I really enjoy the relationship between Maleficent and Aurora, and Jolie and Fanning have great chemistry with one another. However, I think the pacing of the film feels a bit too rushed, and I think it could have benefitted from a rewrite or two. The CGI looks pretty fake, but this is a case where quantity wins over quality, because the production design in the film is beautiful to behold. I almost wish that the movie had been made entirely CG, so that we wouldn’t have to worry about the clashing styles. For what it’s worth, we have the film’s production design, costume design, sound design… it’s a very well DESIGNED film. Performance wise, Angelina Jolie is just fantastic. It’s not a showy performance, but every emotion she feels is believable and genuine. I also enjoyed the three fairies, and I thought Elle Fanning’s Aurora was vastly more interesting than in the 1959 film. However, I wasn’t a big fan of Sharlto Copley. I think it’s a bit of a copout to just make him the villain, and I thought in the hands of a different actor, the role could have been more sympathetic. 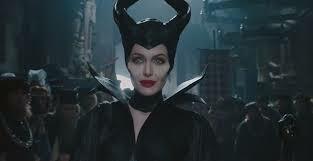 Overall, Maleficent is a mixed bag. It doesn’t break any grounds, but it has some great visuals and a great performance at its center. I think most people know what they’re getting into when you see a movie like this. This film is receiving very mixed reviews and I think my advice to you is to see it and come to your own conclusion. On a side note, I didn’t see this in 3D, but judging by some of the visuals in this, I get the feeling that may have been a mistake. its really nice and good movie..